A band I came up with in my head while listening to some of my favorite songs from bands such as, Led Zeppelin, Boston, Aerosmith, Queen, and others. 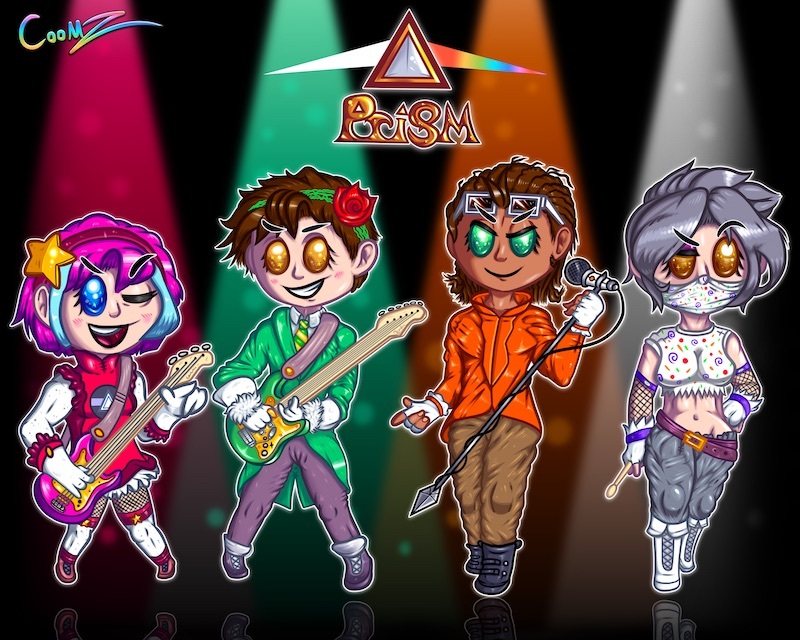 They all have a unique look to them, and because of the difference in stylistic approach from each one of them, and the flashy and colorful outfits, the band name “PRISM” came to me. The guitarists nick-name is “Strat cat”, but as for the rest of them, I don’t have names for them yet! This was also my first project using my new drawing program that i got about a month ago, which now allows me to experiment with watercoloring, which i’m liking a lot! I used a good bit of watercoloring on this piece. i still need more practice with it, but i’m looking forward to using this newly obtained ability on more drawings in the future!